Egyptian Noble Laureate Ahmed Zewail, who passed away on Tuesday at the age of 70, will be honored in Egypt through a military funeral, announced spokesperson Sherif Fouad. Zewail, who was granted the Order of the Nile in 1999 along with a Nobel Prize in Chemistry, will therefore receive the Egyptian state’s highest honor at the funeral which will be held sometime next week. The late Egyptian scientist passed away in the United States, where he lectured, and his body is expected to arrive in Egypt early next week, said the spokesperson. 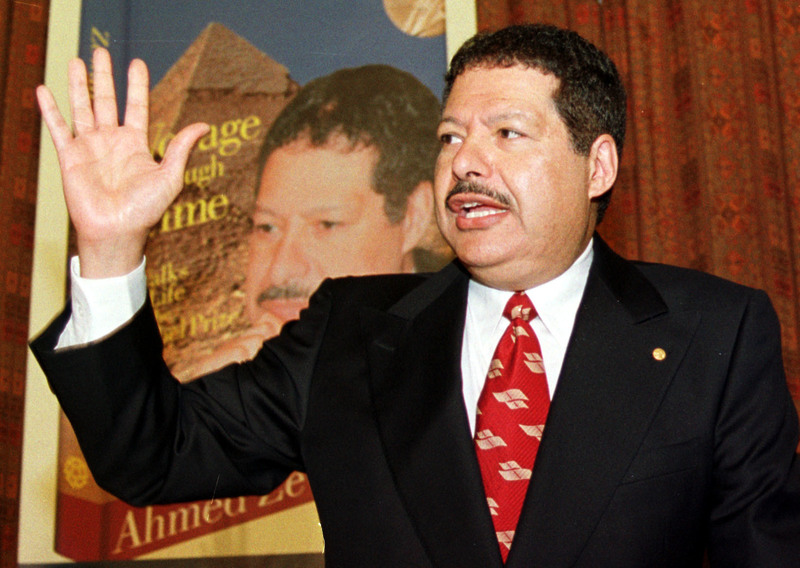 Although he has theAmerican citizenship, Zewail’s greatest passion was for Egypt, where he hoped to be buried. The death of Zewail has received condolences from across Egypt and the world. “Zewail will always be a symbol for a scientist who devoted his life honorable, faithfully, and sincerely to scientific research…to provide a better future for humanity,” said Egyptian President Abdel Fattah Al-Sisi in a statement. The Nobel Prize organization also mourned Zewail’s loss on social media. “Zewail’s experiments led to the birth of the research area called femtochemistry, which enables us to understand why certain chemical reactions take place but not others,” read a Facebook post by the Nobel Prize organization. “Ahmed was the quintessential scholar and global citizen,” Rosenbaum said. Along with his Nobel Prize, Zewail was involved in several projects in Egypt, including the Zewail City for Science and Technology. Today, hundreds of young scientific researchers are enrolled in a campus built in Sheikh Zayed. Zewail was born in Damanhour but grew up in Alexandria, where he graduated from Alexandria University before leaving Egypt to study in the United States, where he earned a PhD from the University of Pennsylvania. The Egyptian Nobel laureate leaves behind his wife and four children.